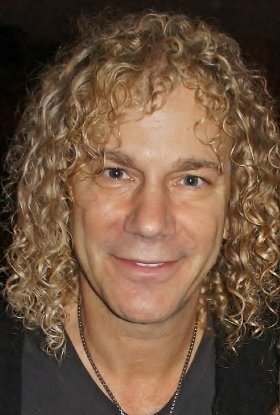 David Bryan is known worldwide as a founding member of Bon Jovi. The band have just announced dates for a European Tour in 2019. David is also a talented theatre writer and composer penning shows such as Memphis that opened in the Shaftesbury Theatre in the UK in 2014 and also won 4 Tony Awards when it was on Broadway. Although David does not currently have a show on in the UK, it does not mean the hard work behind the scenes has stopped. David is always working, busy writing and touring with Bon Jovi too but he kindly took some time out to talk to me about what he is up to right now with regard to theatre and in rock and roll. David has a very successful writing partnership with Joe DiPietro and they are currently working on two more shows, so I asked what they were currently doing and what plans they have. Bonnie: You have always worked together when writing for the theatre with Joe DiPietro – Would you consider working with others? Are others sending you scripts in the hope of working with you? David: You know, not really, I mean for me, what I want to do is just work with Joe, Joe and I are on the same wavelength and we write really great stuff together and to tell you the truth it’s enough. Bonnie: Your new musical is called Diana the Musical – about our very own ‘People’s Princess’ – it is said it will go to Broadway in 2020 can you tell us about the show? David: First, we are not even thinking about Broadway, we’re just concentrating on La Jolla in San Diego, where we open up at the Playhouse in February 2019 – March and April it runs there, so it is one challenge at a time and we’re gonna make that the best that we can and then the future is the future – and always is. Joe came to me while we are working on another show ‘Chasing the Song’ – we were starting to write that and he said – what about Diana? I said has anyone else done it and he said no and I said well that to me is pretty miraculous and let’s have a crack at it. Bonnie: How much creative input do you think you can put into the story of such a famous well-loved person? David: Basically it’s a human story, and they happen to be royal. We are telling a real human story and I decided to give everyone a voice, musically. So Diana is a rock sound and Charles and the Queen are more of a classical sound but a contemporary song, Camilla is more light FM, sort of rock but not heavy rock but not classical, sort of the middle and the paparazzi are more like punk rock – like the clash so that is the vibe, so they all live together. It was really fun, you’ve got creative license, getting the royal family to sing songs when they only in real life probably sing ‘God Save the Queen’ and ‘happy birthday’. So I made them all sing songs. Bonnie: Brilliant – so do you think there’ll be any backlash by the fact the royals are so loved by some and not so much by others? Bonnie: Will there be plans to come to the UK? David: You know what, the future is just one step at a time, make it the best that it can be, that’s all that I am really concentrating on. Bonnie: And what stage are you at with ‘Chasing the Song’ have you got any other works in the pipelines? David: That is waiting for production, we don’t know where yet – we’re working on that musical, getting it up and running for a full production. Bonnie: Bon Jovi have just announced tour dates in Europe – how will that affect your theatre work? David: You know actually, now Bon Jovi are not playing the same amount of shows that we used to, not 150 shows, it gives me more time, I did it anyway, but when the two worlds collide I didn’t get to sleep or have a day off. It’s nice to have a day off and work on two things. Bonnie: How will you keep in contact with Joe and keep the writing going? David: We always work by Skype, that is how most of Memphis got done, and a lot of our shows, when I’m in a hotel room on a day off I have a little keyboard and I just open up the computer and there he is where ever he is at, whether he’s in New York or Connecticut – we sit there and have a day of work. Bonnie: Talking about Memphis, when I interviewed you at the opening at Memphis in London you said there were talks of a movie adaptation how is that coming along? David: Yeah, we’re still shopping that around, it’s more slow and painful than a musical but we still want to get it off the ground – we would want the control to make sure the movie is what we want it to be. I don’t want it to come out and not be good. Bonnie: You have so much input into your theatre work, do you have the same amount of input into the Bon Jovi tour? David: Oh yes, definitely 100% especially making records, anything musical, I mean my thoughts and ideas, on ‘This House Is Not for Sale’, I sang on the backings on it, most of the singing and a lot of the arranging, it was wonderful. And we are starting now for next summer, set designers start designing and give us options. We keep honing it down to stuff we like and make it all happen. Bonnie: What are you most looking forward too on this tour? Will you be delighting your fans with a song if requested, give Jon a little break off the mic? David: It’s the fun, we love to play in Europe. It’s great, actually, we’re about to head out on tour the day after Thanksgiving – we are playing big stadiums in Japan and Australia. It’s a big world out there and we love to play it. And singing, sure I would love to – I’m not warned – anytime Jon likes, he just points at me and I sing. Bonnie: Have you got any message for readers of LondonTheatre1? David: I love that Memphis was on in the West End, Joe and I in theatreworld. We’re still young, so we’re gonna keep getting shows out. So who knows what the future will tell.